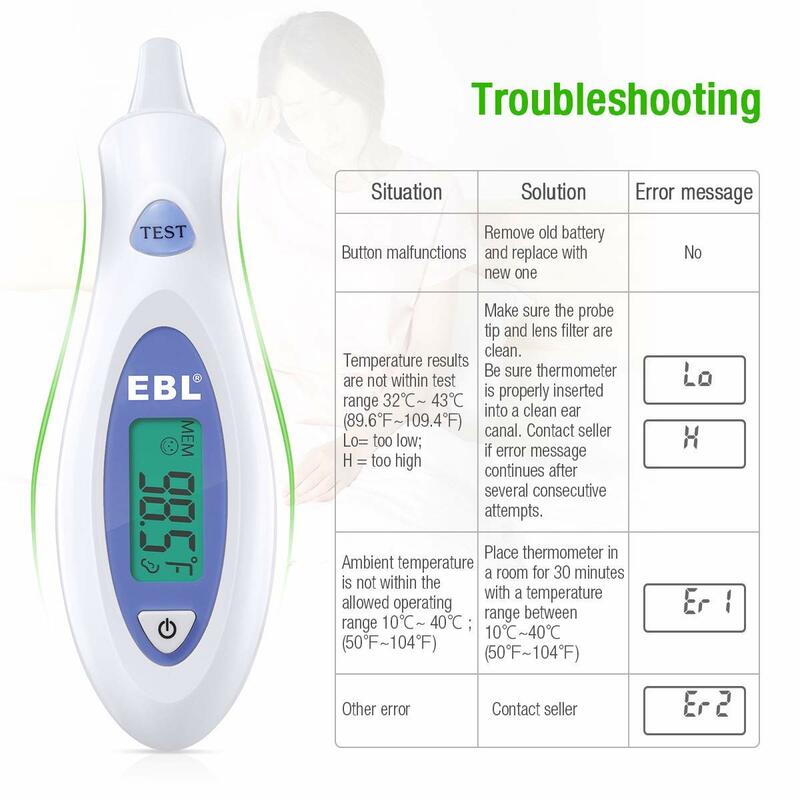 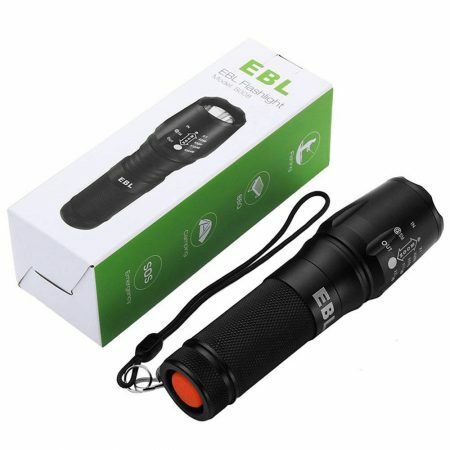 EBL Thermometer can be applied for most of ages (only for the child above 3 months), smiley face means you has a normal temperature, and sad represents you have a fever. 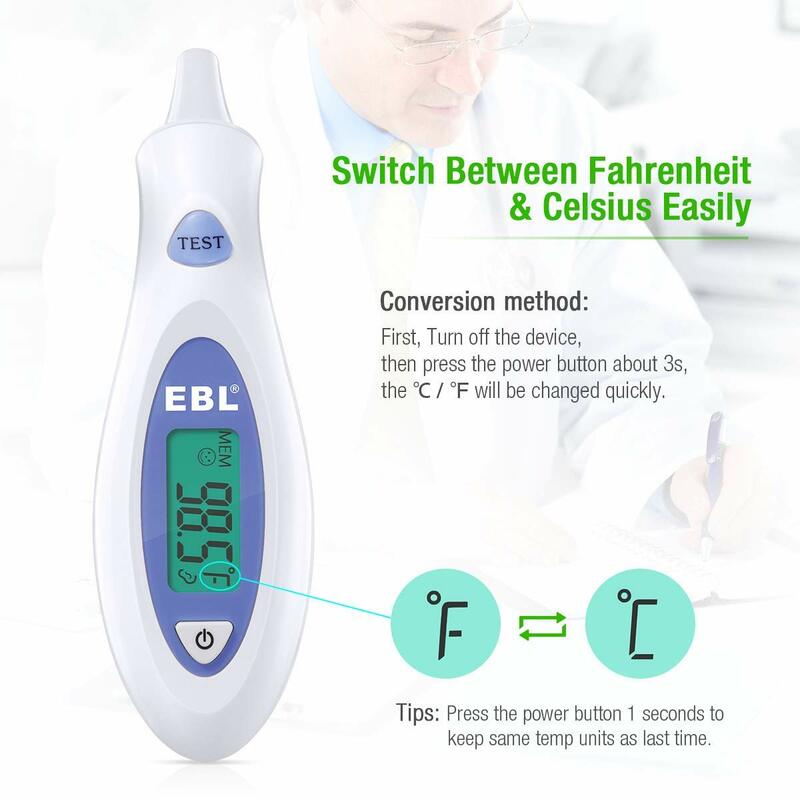 Temperature is display either with Fahrenheit nor Celsius based on your needs. 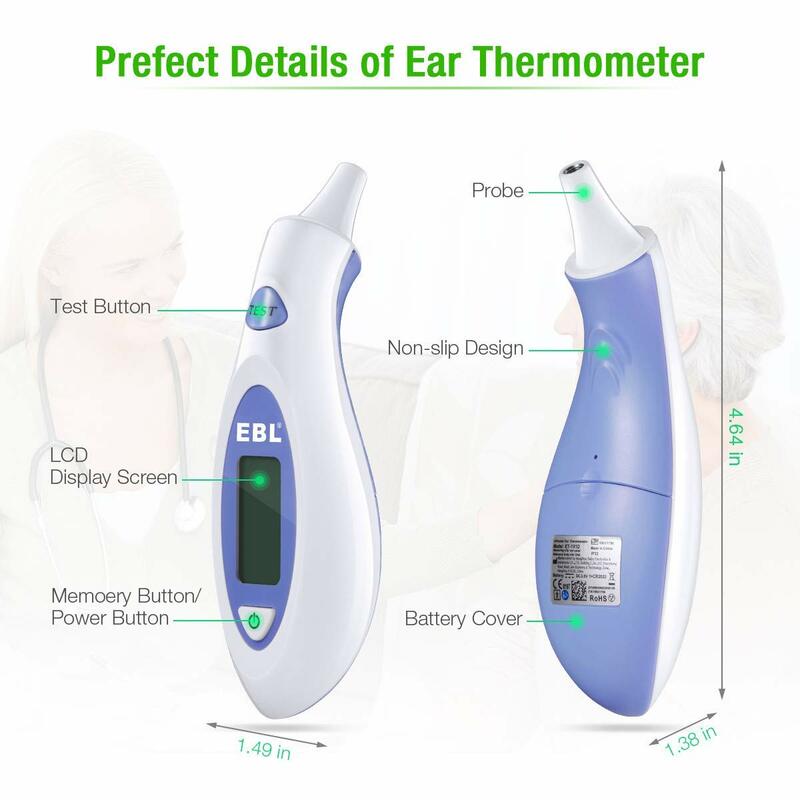 Recommended by medical experts following its FDA clinical tests to confirm its consistency and reliability. 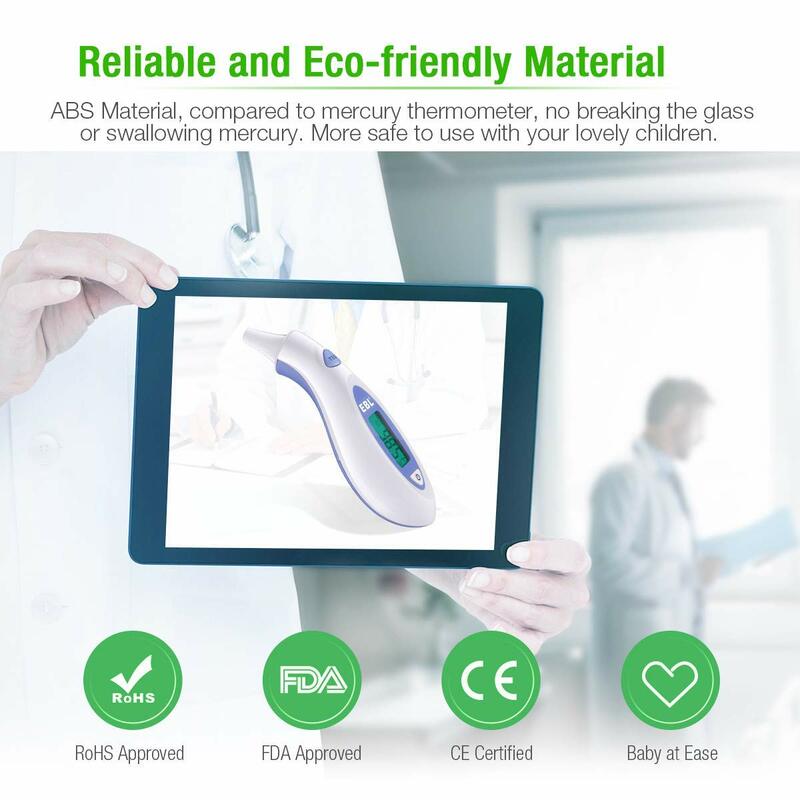 Compared to mercury thermometer, safe item for children to use prevents the accidents such as explosion or swallowing from them. 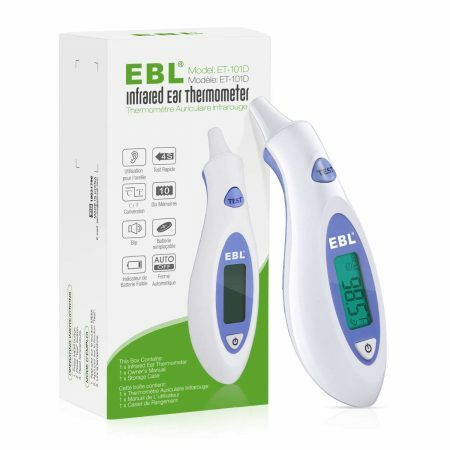 Up to 10 readings can be stored in this digital thermometer, which help you track the variation of body temperature. 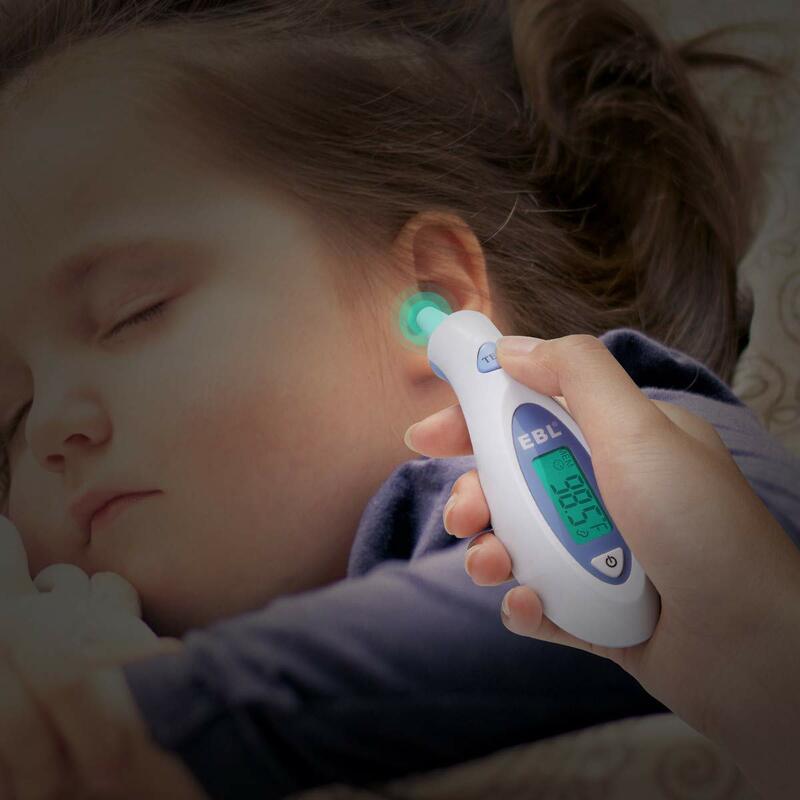 Keep your peaceful mind with this handy and reliable ear thermometer, widely applied for infants, children and adults. 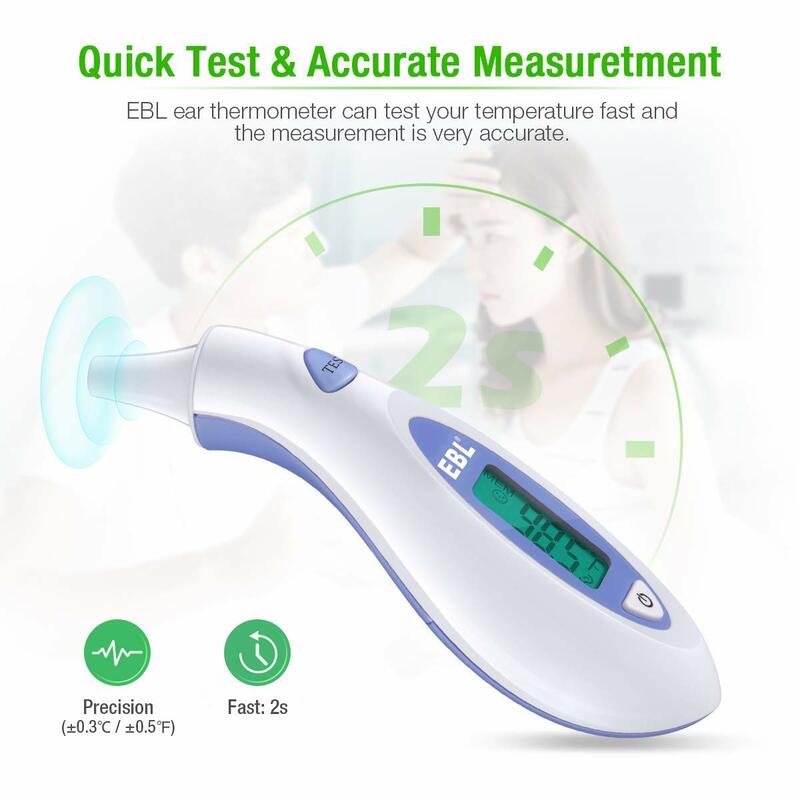 Not only is it able to display the number on the backlit screen, but also provides two expressions to know your temperature effortlessly. 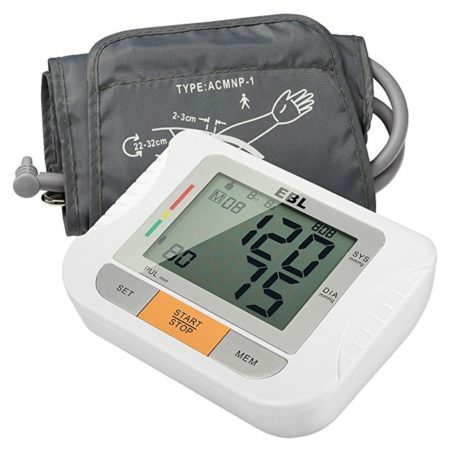 It helps you to have a whole knowledge of your temperature within a period with a memory of 10 readings, allow you to make adjustment based on your condition. 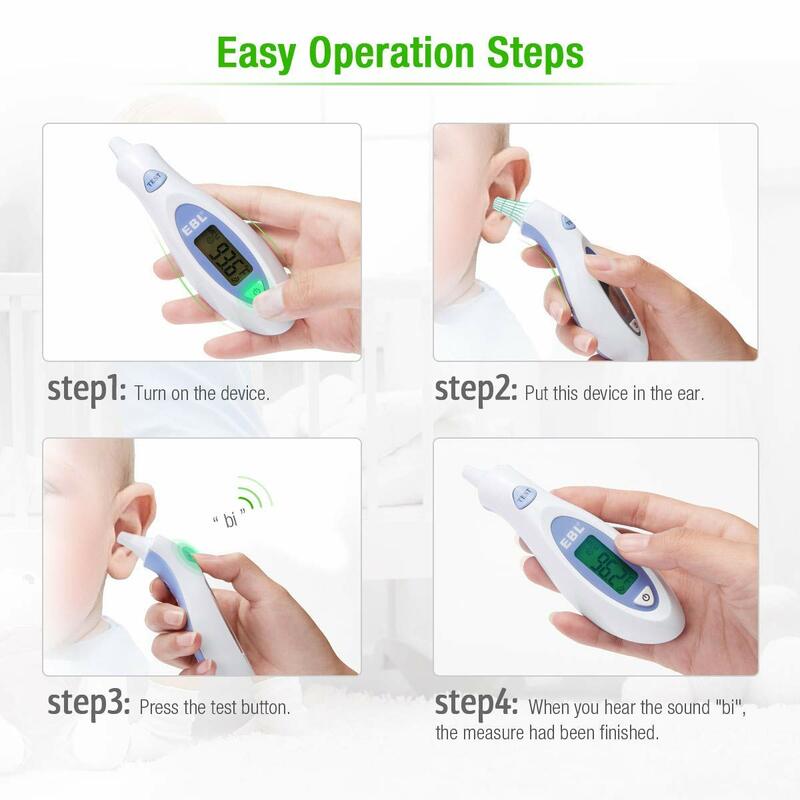 Supporting auto on/off function, this item will shut off automatically after 60 seconds and resumes its work instantly when you press the button. 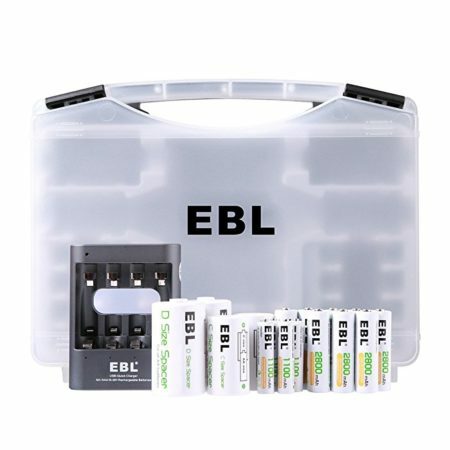 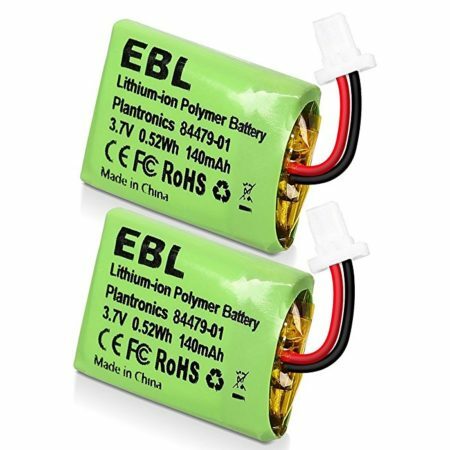 There are still several user-friendly designs for an efficient measurement, lower power alarm timely reminds you to replace a new battery as it is powered by a CR2032 lithium cell, with the help of beep warning, you will receive the beeping notification once test is over.